​Prime is a stylish, modern restaurant in central Queenstown, overlooking Lake Wakatipu. The restaurant features stunning views with elegant decor and lighting that create a welcoming ambience by day or night. Prime regularly hosts Queenstown conferences, concerts, gala dinners, cocktail functions, birthday parties, engagements and weddings. 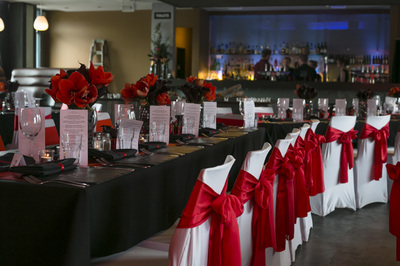 For Queenstown dinner functions Prime seats 180. A private curtained area seats 40 and for standing functions the whole venue accommodates 250. Conferences are welcomed during the day and the optimum number of delegates is 120.Prime's inside dining area is complemented by a paved courtyard next to Lake Wakatipu and a partially covered balcony; both areas are ideal for pre-dinner drinks. There is a raised stage at one end of the venue and Prime's sound system is integrated with its data projector and screen. An upstairs venue, Prime has one entrance to Rees Street with a lift, and one entrance to the lake walkway. Guests can arrive by boat with Million Dollar Cruise or by road with Queenstown Transport. For details of Prime's function and conference packages please contact owner Mark Jessop on 03 442 5288 or by email at dine@primerestaurant.co.nz. Located in central Queenstown, Prime is an ideal space for meetings and conferences, featuring views, ambiance and facilities not commonly found in hotel function rooms. Prime is a spacious, modern venue with a balcony and lake-side courtyard suitable for breakout on fine days.A private curtained area, incorporating the data projector and screen, is available for small meetings of 20, and the whole venue is suitable for conferences of 120. Prime is located right next to the main Queenstown Pier so if your programme involves fishing, you're perfectly placed to enjoy your trout for lunch. If you are looking for an unusual transportation option, Million Dollar Cruise berths directly outside Prime's lakeside entrance. For group transport by road we recommend Queenstown Transport (large buses are not permitted in central Queenstown). If your event requires the competitive element to be indoors, what about virtual sports with a Nintendo Wii? Or a virtual race? Locally based motivational speaker Steve Gurney has designed a set of communication workshops and team building programmes. We offer competitively-priced Day Delegate packages that include morning and afternoon tea and lunch catering. Packages include use of data projector, microphone and TV (Sky by arrangement), set up and staffing. Additional amenities are available on request. Other companies who specialise in Queenstown conference, incentive and business events can be viewed here www.qtnz.co.nz. 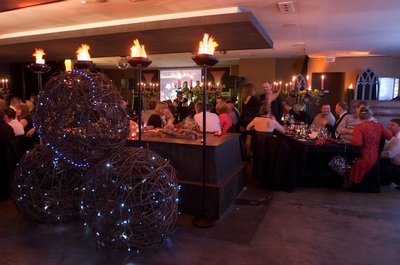 Queenstown Wedding Venue: Prime is a popular venue for wedding receptions in central Queenstown. 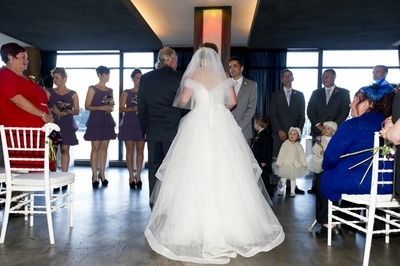 Depending on guest numbers it may also be possible to have your Queenstown wedding ceremony at Prime too. Seating 180 for banquets, Prime's raised stage is ideal for the bridal table as well as for DJs or bands. We have a data projector integrated with a sound system and hand-held microphone for speeches. We can plug in your digital music player for background music.Prime's floor to ceiling windows reveal stunning lake and mountain views and on cooler days the central open fire provides a warm welcome. Prime's sunny balcony and lakeside courtyard are perfect for pre-dinner drinks; a temporary gazebo is available for rainy days by arrangement.